She’s a classic… After recovering from an injury and uncertain of her future in the world of dance, ballerina Isabella treats herself to a dating service–some frolicking between the sheets before she decides what to do with the rest of her life is just the jeté her heart and mind needs. He’s a bit more modern… A successful music video choreographer, Raul is constantly surrounded by gorgeous dancers. But his life lacks a vitality and depth he needs to fuel his creative passion. He turns to a 1Night Stand to discover inspiration. 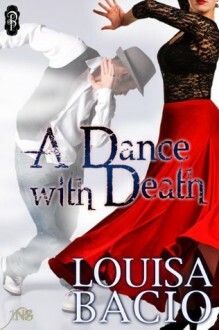 A dance between life and death… When an accident threatens to cancel the evening of romance, Isabella and Raul will have to dance to a new beat. Can a dance with death change fate?